Today’s post is going to be short because I had a very long day. Hmm. They are very sweet. But I didn’t find the dough (?) pastry bit (?) very appealing – it tasted rather plain and just ...doughy. But I don’t know? This was the first time I’ve eaten these so maybe any of my American readers (or someone who has these sold in their country) can tell me which flavour to get next time? Or are they supposed to taste like that? Have you tried Poptarts? Do you like them? Eep! I haven't tried them but they look yummmy! mmmm!! my fav are blueberry plain. w no frosting!! I've never tried Poptarts before. I want to, though. Looks interesting! 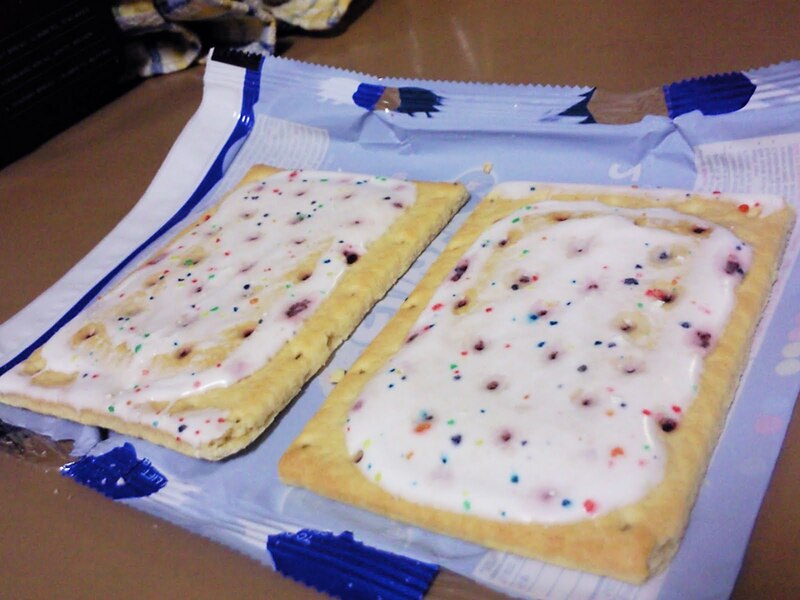 I tried poptarts before. I can find easily in grocery store. I remember when i was little, i used to like them a lot. Eat everyday xD I still eat them, but when i feel like to eat xD Yes, it is very sweet and it's normal that the pastry tastes plain. My favorite one is strawberry. 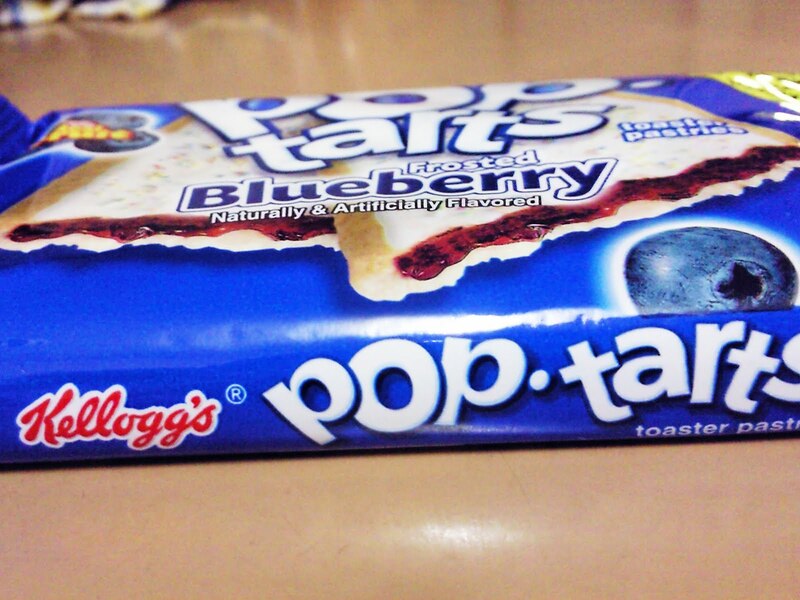 i'M a pop tarts addicted! @PetiteChouxx Oooh Maybe I should try Strawberry next time :D ? @Vivian Yes it is quite nice :B You should try it! Well, Poptarts are quite plain when it comes to the sides..but then the inside is super sweet..too sweet which is why I rarely eat them…there's even s'mores and chocolate flavors! IMHO Strawberry is the way to go! Also I tend to like the non-frosted version better than the frosted ones. However I don’t usually eat pop tarts anymore… mostly too much like candy/desert and if I’m going to eat desert there are other things I would rather spend the calories on… like Chocolate Cake. 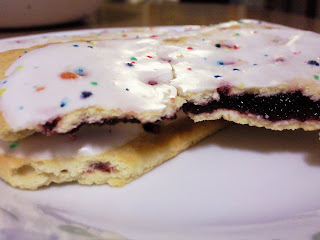 Also I don’t know if the pop tarts of today are as good as the ones we used to get. Maybe they are using Corn Syrup rather than Cain Sugar, that’s happened to a lot of products that I remember being good a long time ago that I don’t like as much anymore.